Hugely excited to show you guys my new paint range it’s been one of the most exciting and rewarding things I’ve done. 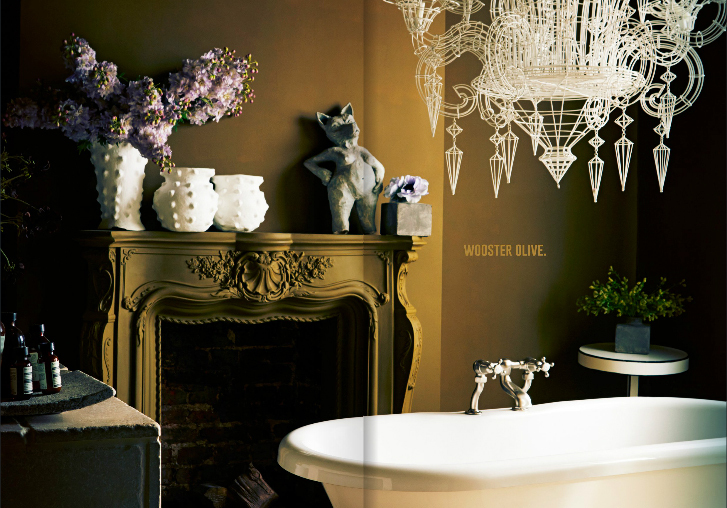 The palette is inky (obviously) supremely sophisticated, luxurious, tantalising and totally transformative. Not bad for a can of paint hey! Let me show you exactly what I mean as I’ve painted the whole house out in our new palette as you can see below. All the photographs are by Graham Atkins Hughes. Lets start with Madison Grey. I am a little obsessed with this hue, my lower ground floor is painted out in it (see below), the store is painted out in it and also the school is about to be transformed with it. It’s grey but it has undertones of green. It’s such a beautiful hue, it was the first colour we painted and I’ve been obsessed ever since! Next up Hudson Black. This is the softest black on the planet as it has undertones of brown. It has completely and utterly transformed my studio (see below). I’ve love this hue, I wanted a black that felt almost like butter soft, dense, enveloping. Love love love it. Mulberry Red is next alongside Mercer green. I sneak peaked Mulberry to you before. This hue has been the most surprising since I am not a red girl in any shape or form at least not on the walls. Until now that is. 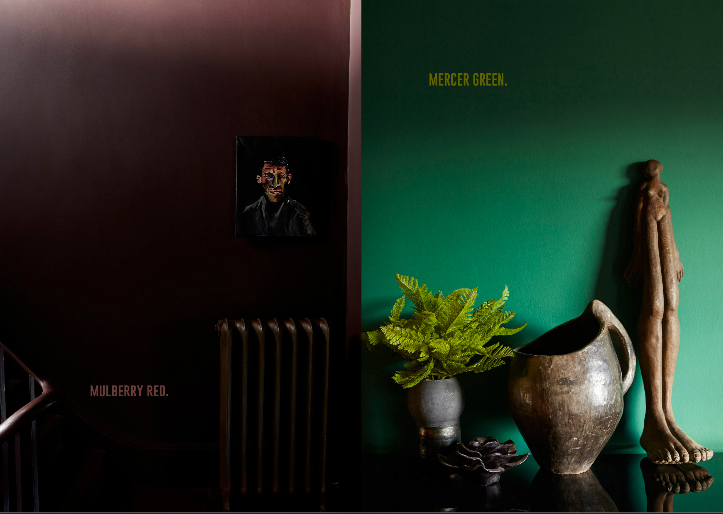 This hue has undertones of black so it’s little blackberry, its a little black also a little red it changes with the light, it plays with the imagination, we’ve painted the whole hall out in it and its never looked so good! Mercer Green is one of those intoxicating high voltage hues transforming anything it hits into something supremely glam. Up to my bedroom. This is Crosby. 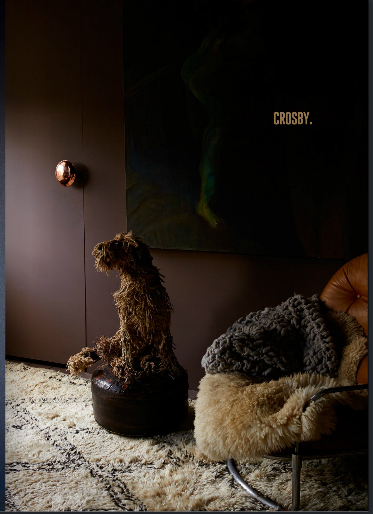 Crosby is the most calming hue on earth its brown with pink undertones so it soothes, cocoons, it calms its so very peaceful fab for bedrooms. Onto the bathroom which is painted out in Wooster and is a beautiful hue. I am a little obsessed with olive I may need an extension as I want to paint more rooms out in it! 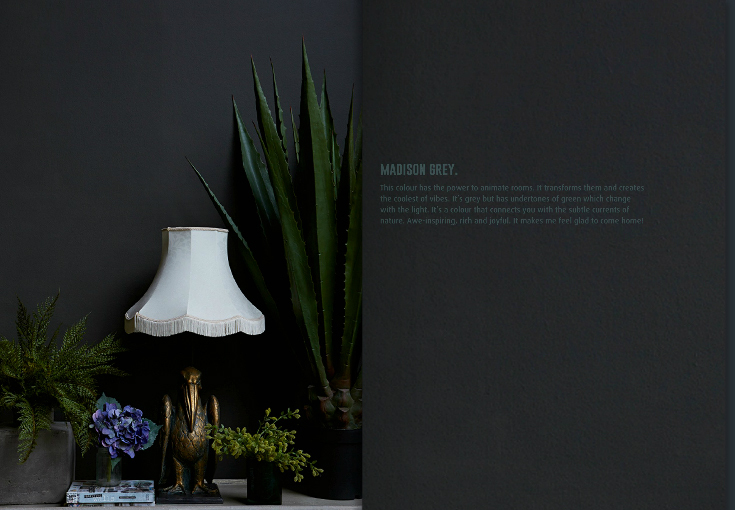 More shots and more paint colours over on our latest Journal which has just launched. You can see it by clicking here! Hope you guys like, do let me know I need cheering up. I have bronchitis apparently with a fever thrown in for good measure so I’m bed ridden and have been all week! Love love love all of them… hope you get better very soon, by the way. Abigail…I am overwhelmed with the urge to move into your home immediately!! Congratulations on achieving something most paint companies fail to get…subtlety and strength in a paint can!! Amazing colours….Wooster Olive and Bedford Brown are my favourite…and I am not even a fan of earth tones!! Love them all actually..
LOVE, LOVE, LOVE. Well done Abigail. I want to re paint my house now!!! Absolutely beautiful colours! I live in Glasgow, where can I buy them? Sorry to hear you are unwell – I hope you get well soon. Love the paint. I have been waiting for you to launch your range as I am waiting to decorate my Bathroom. I was thinking green so the Wooster Olive is fab but am looking for an accent colour which could sit well with the Olive as well as a purple flocked mirror (from you Debenhams range). I have the purple mirror on one wall and wanted to paint the opposite wall with the accent colour – could you please advise? Abigail, they are gorgeous colours! Cannot wait to get hold of the chart. Are you doing sample pots? I need them ALL!!! Get well soon so you can enjoy and celebrate this super exciting moment! Congratulations. I love these inky dark lovelies. I’ll be moving home soon and now have a delicious new colour pallet to choose from, can’t wait! Congratulations! Can’t wait to get these in the store!! Although not sure which one to paint in the store first!! Shame your bed ridden but at least you have a nice hue on the wall to look at!! Hey there, the paint colours are absolutely beautiful & I particularly love Mulberry Red which I will be buying. Well done you!! * Get well soon as I’ve also missed reading your blogs as they brighten up my day. Ok, my dear Abigail, I have a problem now… Your colors are so amazing, how do I decide which color to paint in which room? Get well soon! Felt excited looking at these photographs. Skipping beats in heart. Amazing as always and so generous in your blog with ideas, photographs …love that playing card with mickey mouse ears in your bookcase. Can’t wait to see journal. Beautiful range of colours Abigail. Love all of them. I’m still decorating our home and would love to try them. Where can we get our hands on them? Madison Grey here for me (I think). Not a huge fan of green so it throws me a bit to hear it has green undertones….but seeing it in the photo and TOTALLY believing in your eye for just the right thing, I’ll be checking it out when I go grey here! Do take time for and give your attention to recovery! You are killing me Abigail!! It’s a case of look but don’t touch as we can’t get it in Australia. They are beautiful. I love the dark grey. 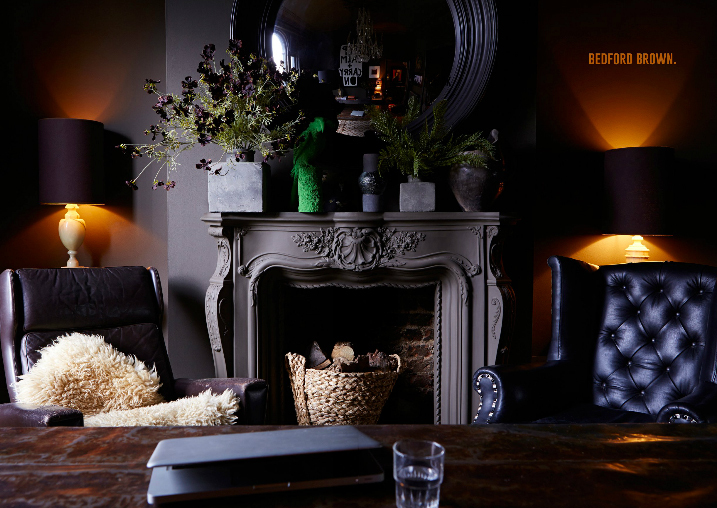 really exciting Abigail – love the different ambiances they create – hope you can ship to ireland so I can recommend them to clients, we’re always being forgotten over here. oh and i have been through bronchitis – having to sleep sitting up and all that – Yuk! poor you. Love it , love it , love it !!!!!!! Love the range Abigail. After spending months testing out dark greys, I finally painted the walls and ceilings TWICE because it wasn’t quite the right shade the first time round….when can you come to our aid and get this stuff over to us in Australia??!! Hope you’re back on track soon. ay ay ayyy! my heart skipped a beat! if only land lord let me paint my rooms…. Landlords are such a pain hey! ps: definitely deserves a special section in blog to show how one can play with the paint range, as you have thought about in your post last month about blog revamped. i am giddy with anticipation!! The new paints are just beautiful Abigail and I really love what you have done with them. I’m in Scotland and may have a bit of a challenge persuading my clients to go over to The Dark Side but I’m up for it! Hope you feel better soon. I had a similar thing a few weeks ago and it was awful so I do sympathise! Absolutely GORGEOUS Abigail. Been bursting with excitement since I saw them. My Studio will be painted in them very soon! Sad to hear you’re convalescing – but just take time to sit back and watch the magic unfold!! You deserve it! I think your paints are utterly delicious and i want them all over my house. 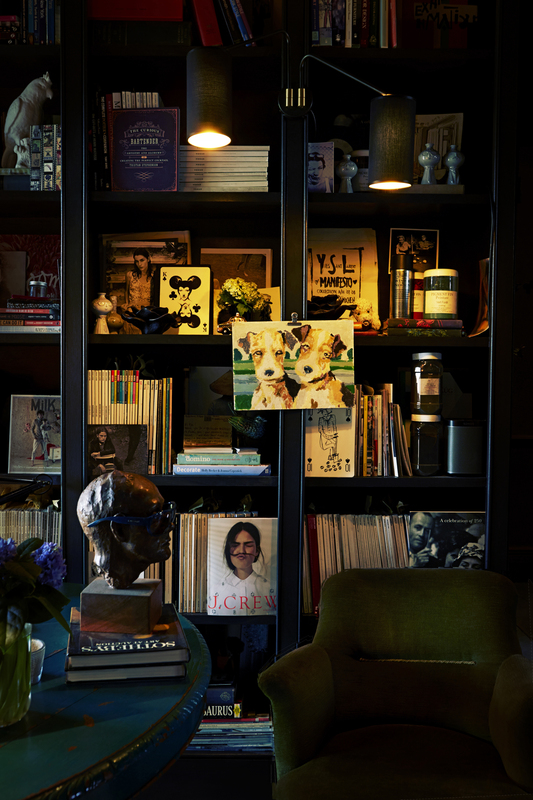 love wooster olive and madison grey so they will be the first ones in …. btw – i bought both your books the other day and you will be pleased to know that i’m currently typing away with remnants of flamingo pink and bright green on my fingers having just transformed a number of pieces in my home this morning !!!! Louise I think it’s hilarious that we are all the same in the ‘changing our minds’ camp. I have plans for Abigail’s new paint too and I know initially my husband will sign and think ‘Fi….really? !’ but they let us get on with it don’t they !!! Hi, Abigail- I do hope you recover soon. Good opportunity to stay in bed and cozy up in the lovely nest you’ve made, though. Try and get a couple of days watching crap TV and eating cheese on toast when you feel a bit better before relaunching yourself on the world! Wow, I have to say the colors are refreshingly rich as well as deep. I will be keeping an eye out for where i can use these colors. Very nice. Bold and beautiful – can’t wait to get some samples! Just beautiful. Congratulations on a great collection Abigail. Congratulations for your new paint range! Congratulation on your new paint collection. Looks great! South Africa stockists! Im moving. Come on Australia business- support this Paint. We need it here. Sorry me again, so excited to start painting, but still on answer from supplier. Maybe I must be your supplier. I must confess that I have had a physical and emotional response just by seeing these colours here, I can only imagine how gorgeous they must be in the flesh. Abigail, if a friend were to post to me in Australia, is there a carrier that can cope with this sort of delicate cargo? Do you have sample cards that we can purchase that can come to Australia? Congratulations on realising such a beautiful range. You might need to check with customs about getting paint in I thought someone told me it was a no although I might be wrong. Started off hating the Mulberry Red, then thought, umm maybe it’s okay. Came round to quite liking it and now I am bloody obsessed with it. It’s going in my dining room and then possibly all over me! Well done Abigail, these are truly inspired colours. Where might I get it in Denmark? Or is there perhaps a store online that will ship a few litres here? The paint range is beautiful! Are your wardrobe doors painted with this also? Are your cupboards made of MDF and if so presumably your paints are suitable for MDF wood? Late in the game with posting, but I hope you’re 100% recovered, & I ADORE your paint colors. Every. Single. One. Hi, Abigail. I, too, am late in the day in congratulating you on the MOST amazing paint collection. Your talent never ceases to amaze me. Luckily for me, I am about to start decorating a whole house which is painted white. For one of the bathrooms, I have chosen matt copper vinyl floor tiles with gloss black mosaics for the shower enclosure. Possibly iridescent copper splash back, too. Can you recommend a few paint colours of yours to complete my glam/rock/inky theme please? I am as excited as a little kiddy! Very kind of you thank you its never to late! You could go lots of ways, Madison Grey is one of my favs and has lots of green hidden within and is super glam, or alternately bedford brown would look beautiful with copper and it works with black as I’m looking at it now. 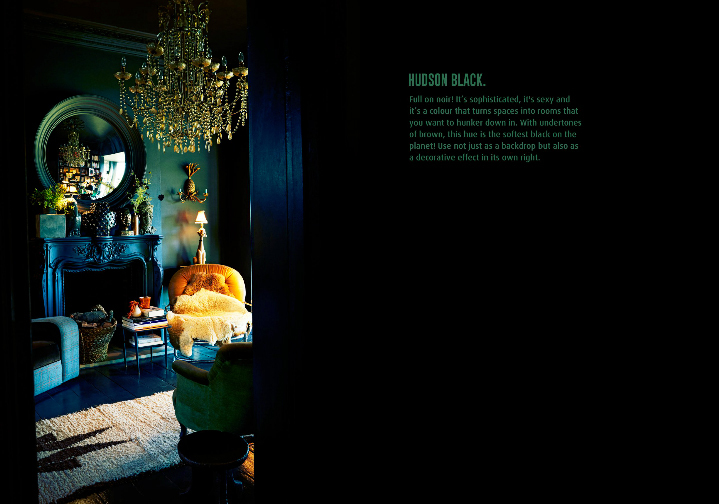 Hudson black is another way to go or the blues. Sorry that isn’t much help is it!